I shot a Haitian music program at the University of Maine at Farmington. Conductor Jean Bernard Desinat, of the well-known Haitian choir Les Petits Chanteurs, directs as the choir sings a selection of music based on traditional Haitian songs. 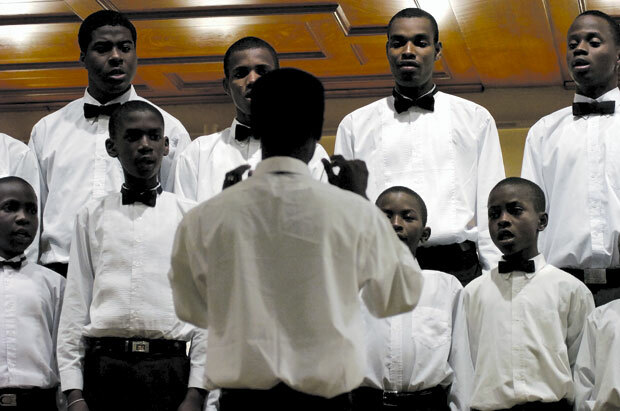 The choir played in a program along with The Holy Trinity Music School Chamber Ensemble of Port-au-Prince, Haiti, Friday night at the Nordica Auditorium at the University of Maine at Farmington.